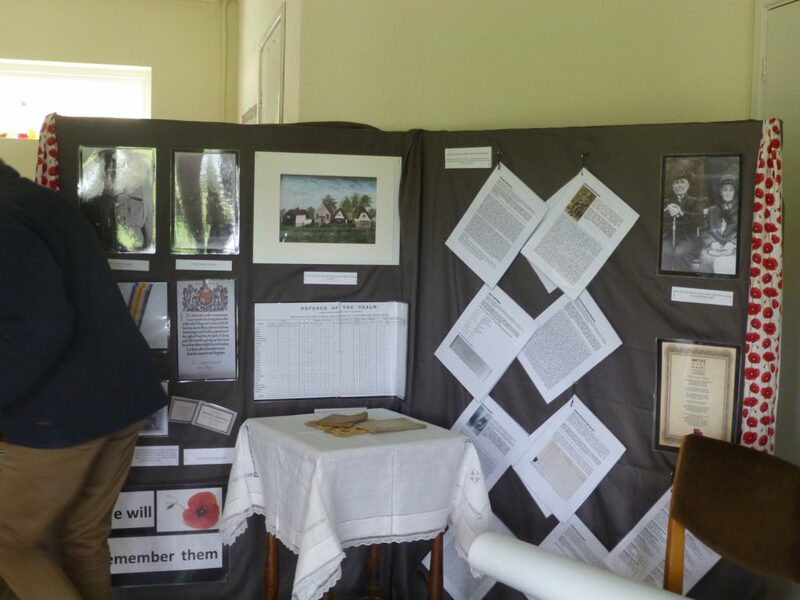 Thank you to everyone who supported the events to commemorate World War 1 that we held at the Archive in November. 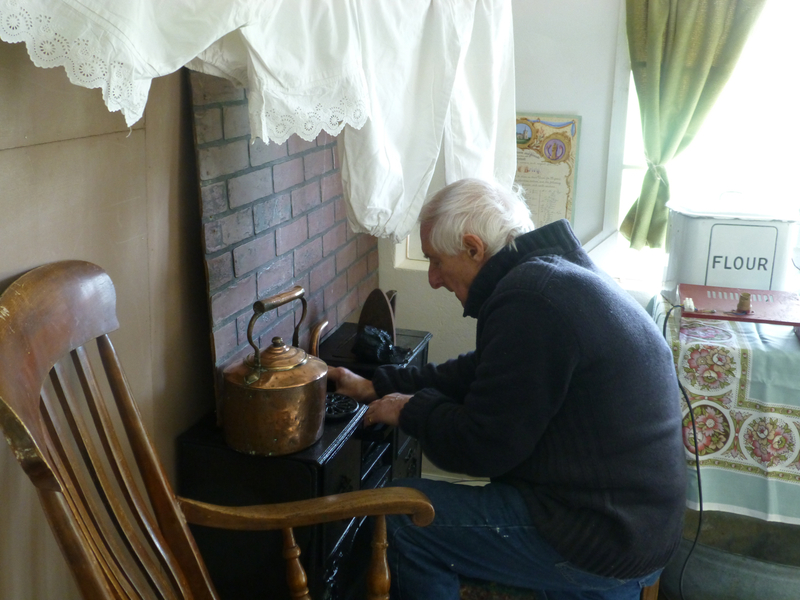 Thank you to our many visitors, people who loaned items for the display, gave us items for the Archive, came to the talk and supported us by email even if they couldn’t attend. We couldn’t have done it without you all. 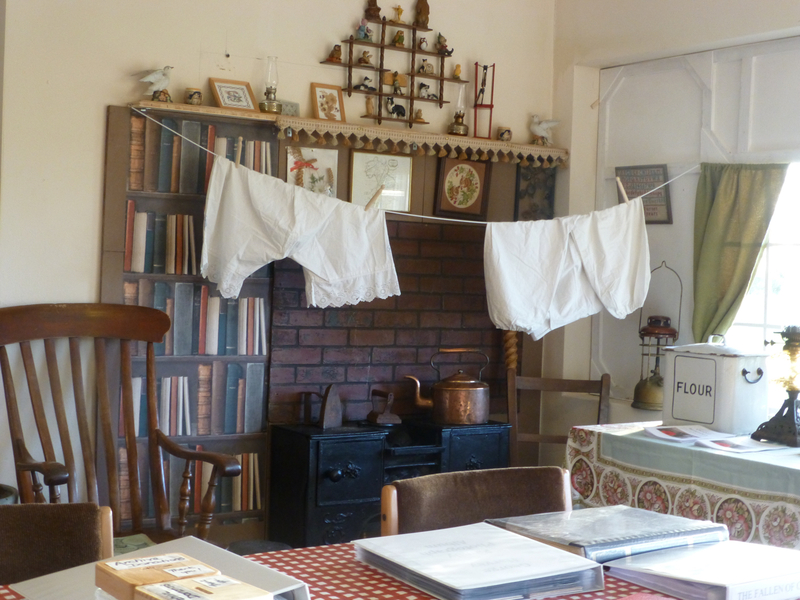 The main room in the Pavilion was transformed into a wartime home with a stove from Faerie Cottage, tin bath, armchair with the Church News from 1914 and even the bloomers hanging up to dry on the washing line. You can read all about the exhibition in a leaflet that was produced for the event. Download a copy here. On Wednesday 7th November we were very pleased to welcome Dr Deborah Thom from Robinson College in Cambridge who came to give the Irene Cranwell Memorial Lecture this year. Dr Thom talked about women in wartime and what it was like for those who were left at home when the men left for The Front. From post girls to milk deliveries the women had to step in and take the place of the men who were away fighting. Dr Thom had done some research on the village and found one or two interesting court cases that took place during wartime! The Village Hall was packed for the evening and as last year we used just about every chair in the place. 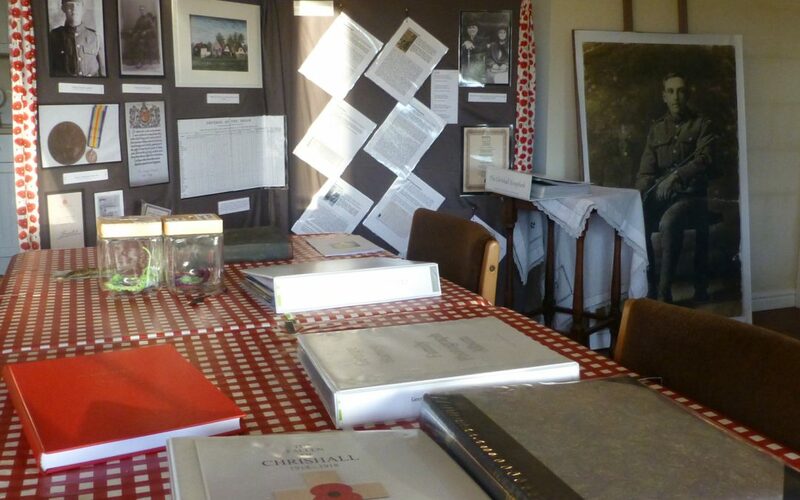 The Archive provided copies of the Chrishall scrapbook and other photographs to look through. The raffle prizes had a wartime theme with a book of poems and the story of The Last Tommy being among the prizes. Again thank you to all who came and supported the event. Sunday 11th November was a very special day and we were honoured to be asked to lead the commemoration at Chrishall War Memorial as the main church service of the day was taking place in Elmdon. We read out the names on the Memorial and those who they had left behind in the village. 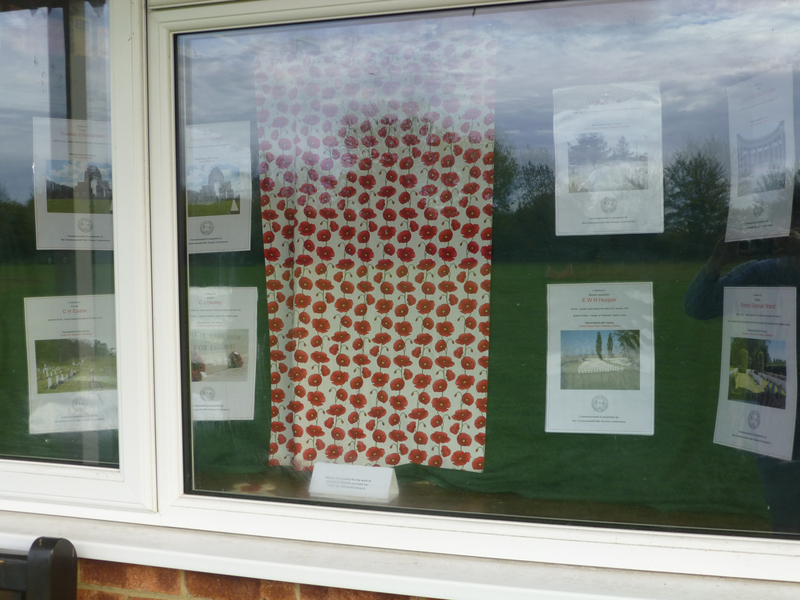 We also read out the names of the 44 people who had served in the war from the village but who had returned. Poems were read and it was a very moving occasion. As we moved away I heard one person comment that they would know a lot more about the names when they drove past the Memorial in the future. Job done. 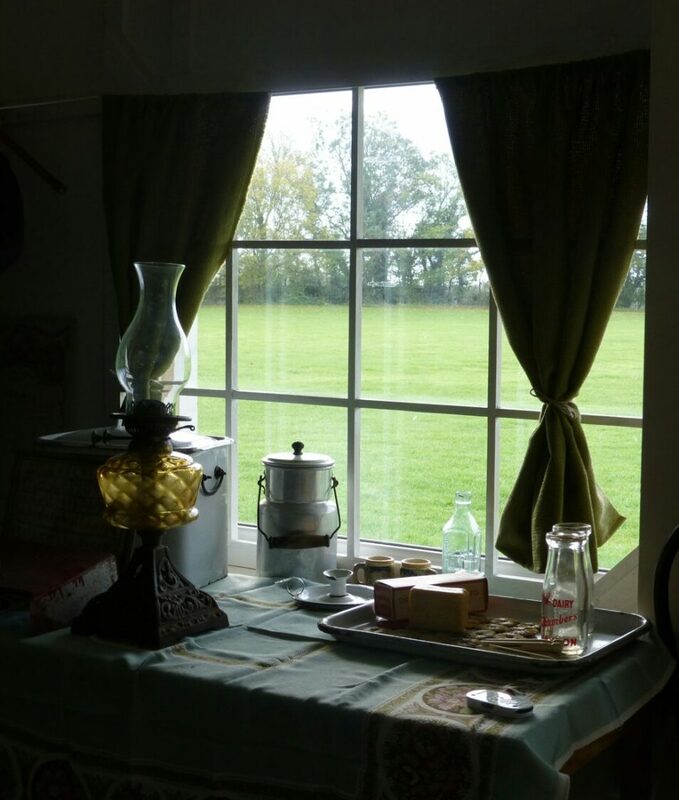 Then it was back to the Archive for the wartime home exhibition. In a wonderful turn-out, the pavilion was packed from start to finish. Numerous cups of tea, coffee, sausage rolls and mugs of soup were consumed and much information shared. We had visitors from as far away as Glastonbury and Holland-on-Sea. It was certainly an amazing occasion to be involved with and wonderful to see the different events that local villages put on. 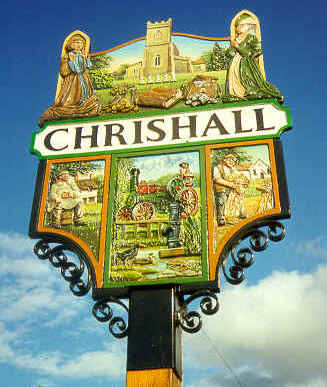 The Archive were extremely proud to be able to play a part for Chrishall.